The Moga Controller was the first really good Bluetooth controller that was usable on mobile devices without root. They aren’t very popular anymore. After all, there are tons of Bluetooth controller options now, but many are still rocking the old Moga controllers. If you are and you’re looking for some great games to go with it, here are the best Android games for the Moga Controller. You can see our review of the Moga Controller in the video above or read it here! The MOGA controller isn’t necessarily relevant anymore. Thus, we don’t expect this list of games to change in the near future. Here are some more excellent game lists you might find helpful. Asphalt 8: Airborne is among the best racing games for Android. It's one of the first to feature support for the Moga Controller. It features over 140 vehicles (with tons of customization options), over 400 campaign mode events to race through, full-featured online multiplayer modes, and nearly 2000 total events to do. It’s a deep game that you can play for a very long time before you start getting to the end and most of it is free to play. The only downside is the game’s moderately aggressive in-app purchase strategy which permeates nearly every menu in the game. The Bard’s Tale is an action RPG that has been a favorite of mobile gamers for a long time. It’s a remake of the original game from the mid-1980’s and, frankly, this one is way better. 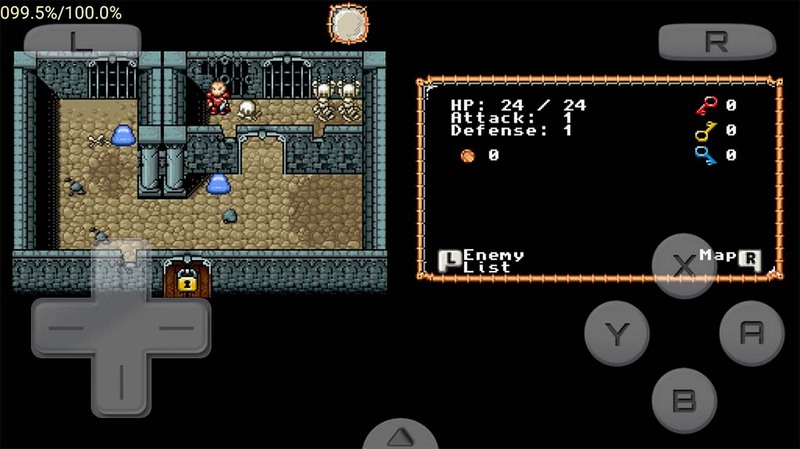 It contains roughly two dozen hours of story line, a full cast of NPCs (with voice acting), and a variety of weapons, armor, and spells to help you through the game. It’s a quirky game with some humorous dialogue and part of its charm is how insincere much of the game feels. It was another one of the originals to have Moga Controller support and it remains one of the best now. Final Fantasy III and IV both have official Moga Controller support. Both games are jRPG classics that contain dozens of hours of story line, engaging characters, fun mechanics, and a wide open world to explore. The mechanics are slower than most games. You won't spend a bunch of time on the edge of your seat. That is part of their charm, though. They are also quite expensive, but they also have no in-app purchases. Click on the game’s names above to check them out! Rockstar Games has done an excellent job porting some of the old Grand Theft Auto games to Android. Currently, you can buy Grand Theft Auto III, Vice City, and San Andreas which are ports. There is also Liberty City Stories, which is a made-for-mobile GTA. All four games come with physical controller support and, to be perfectly honest, these are games that are infinitely more enjoyable with a controller. Each one is a sandbox style game where you’re free to roam around the whole city, take on missions, shoot people, and do whatever you want to do. There are other games in Rockstar's library. They may also have support for Moga Controller. Minecraft: Pocket Edition is still among the best Android games out there. It's on its way to being on par with the PC version. The game does work with Moga Controllers. It isn't officially supported, though. Minecraft is one of those games that you can spend months on without being finished and its ability to allow people to be creative with other people is second to none. The game runs you $6.99. There are in-app purchases. However, it's for customizable stuff like character skins. Here are some more game list recommendations for you! 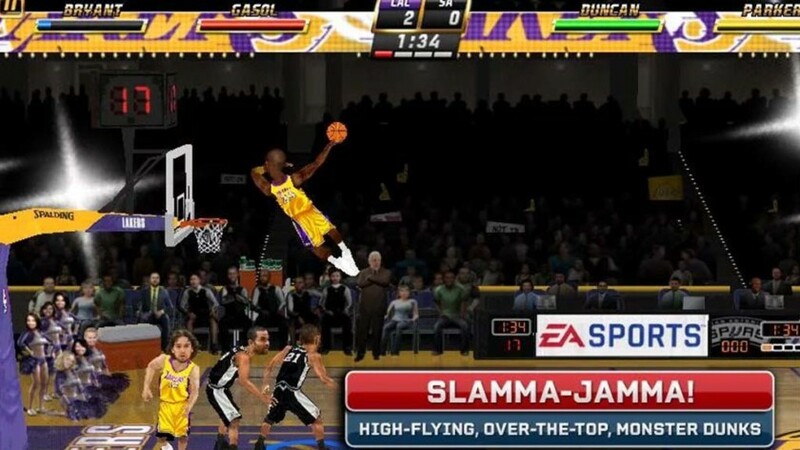 NBA Jam is definitely one of the best sports games available on Android. It’s a remake of the classic NBA Jam games and operates almost the exact same way. It’s a two-on-two basketball game (with actual NBA players) where you can shove guys around, dunk the ball, and do all kinds of other stuff. On top of the classic campaign mode, you’ll also have access to local multiplayer as well as online multiplayer to duke it out against live opponents. It’s a strong game and EA hasn’t injected in-app purchases yet, so enjoy it while you can! Shadowgun DeadZone is an FPS on Android and one of the better ones. It’s entirely multiplayer so you’ll download the game, log into the online world, and play. Each game can have up to 12 players total (six vs six) and you’ll be able to choose between ten playable characters which adds some variety to the proceedings. There are two game modes, Deathmatch and Zone Control, as well as a bunch of weapons to deal with your opponents. The main game, Shadowgun, is also Moga Controller compatible. Sonic the Hedgehog 2 is one of the classic console platformers. It also has Moga Controller support. SEGA is slowly phasing out their older games in favor of a new set of games that are free to play. We're not 100% certain that they have Moga Controller support. However, this Sonic 2 release is still the original one and should work perfectly fine with the controller. It's relatively inexpensive as well. Terraria has been consistently likened to a 2D version of Minecraft. It has a sandbox style world where you can build things, defeat bad guys, take on bosses, and mine for various minerals. The game takes place in an entirely 2D land that is randomly generated when you start the game. There are over 1360 crafting recipes, 450 enemies, over 100 block types, and dozens of bosses, pets, and environments. It's a huge game with tons to do. Unkilled is a first person zombie shooter and one of the best shooting games ever made on mobile. It has fantastic graphics, over three hundred story missions to complete, real-time online multiplayer in either regular multiplayer or Skirmish Ops, and it supports hardware controllers. It’s made by the same developers who did Dead Trigger 2 and follows a lot of the same mechanics and ideas. Unkilled may not work so great with the Moga Controller for some. In that case, try out Dead Trigger 2. It definitely works. If we missed any great Android games for the Moga Controller, tell us about them in the comments! You can also click here to check out our latest Android app and game lists!